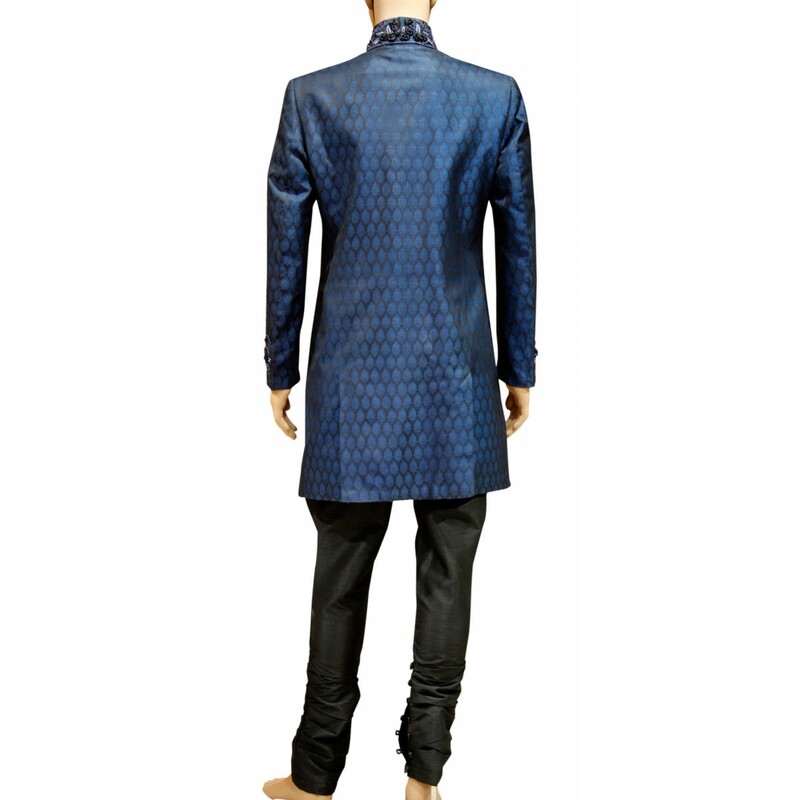 his men's blue brocade smart indo western sherwani enhances the persona of groom. 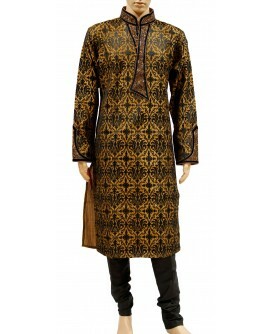 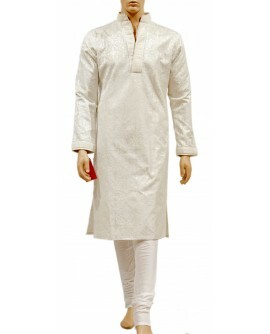 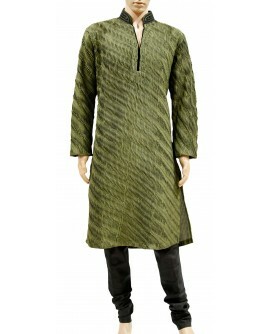 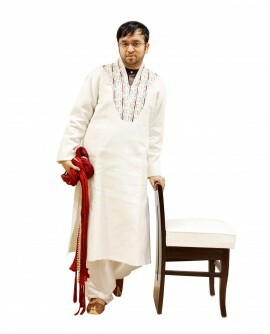 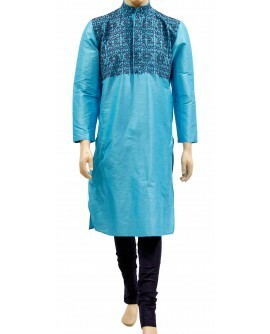 Left front part and both sleeves are designed with finely embroiding thread. 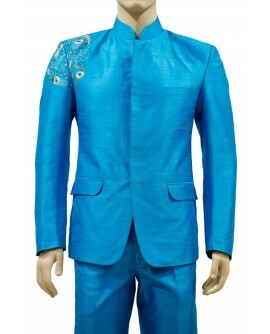 High neck collar is also designed with embroiding work. 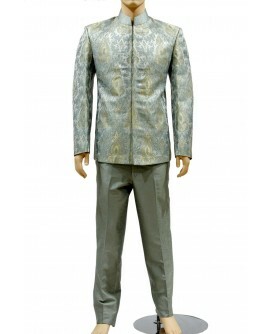 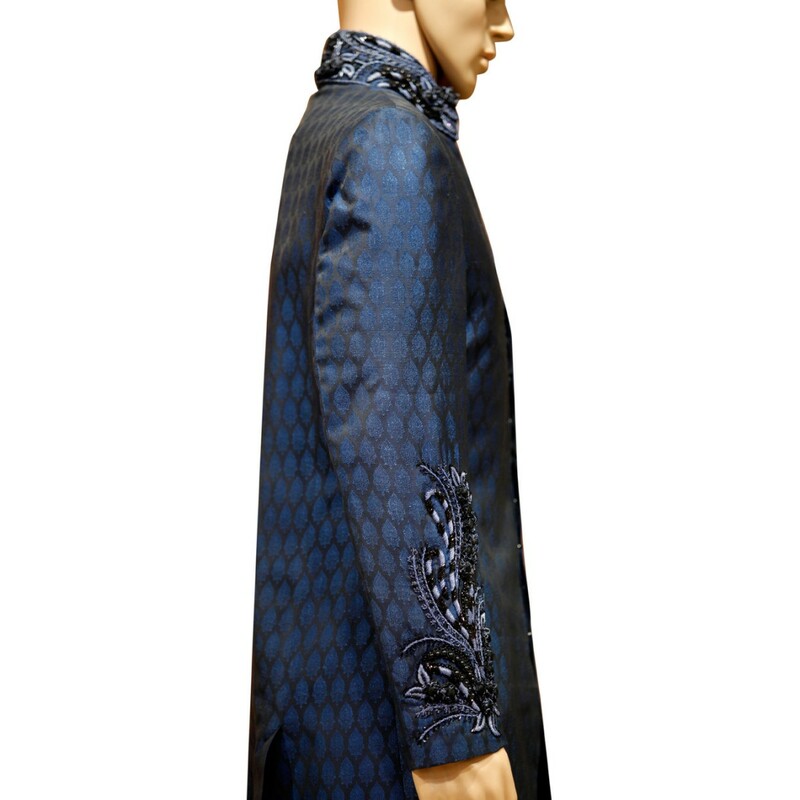 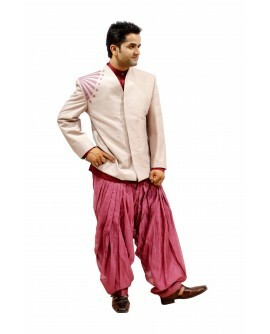 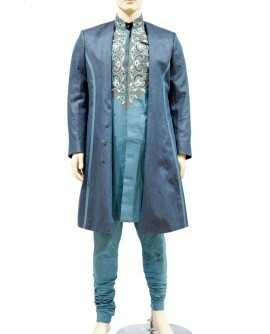 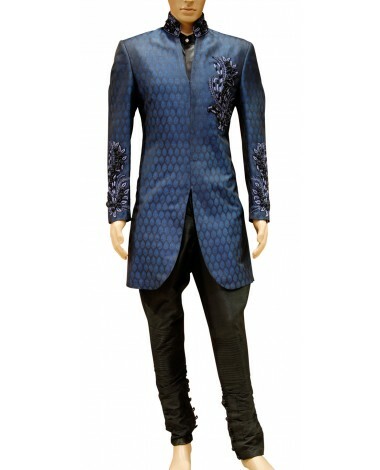 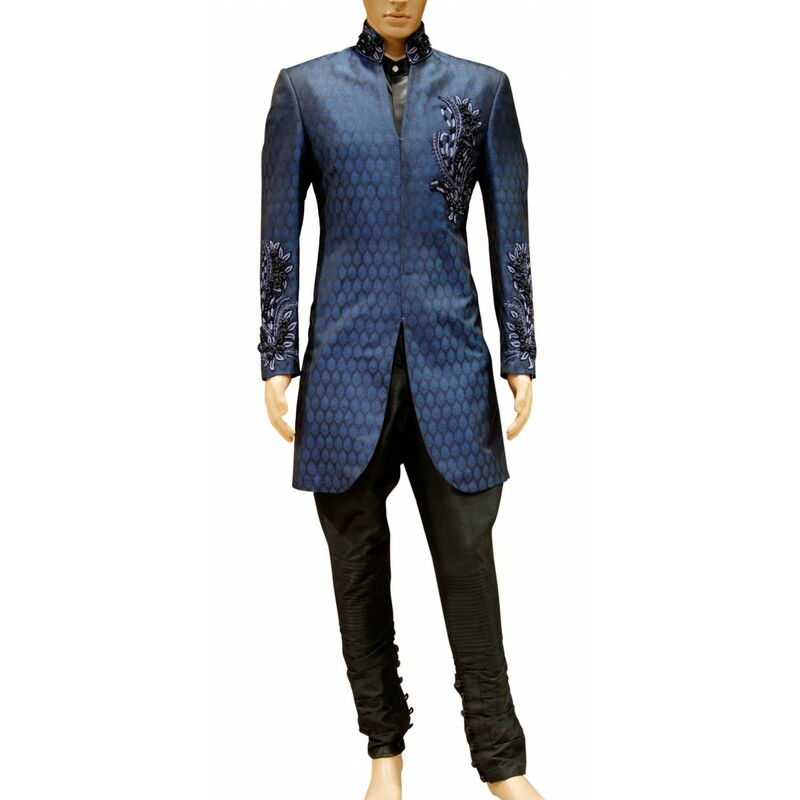 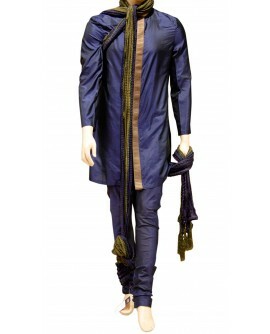 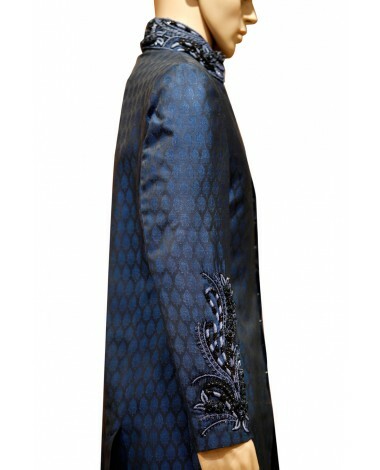 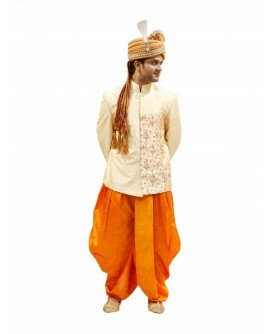 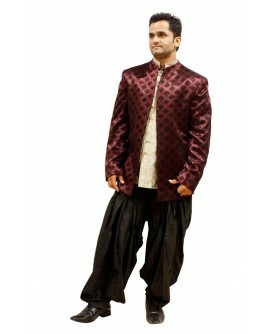 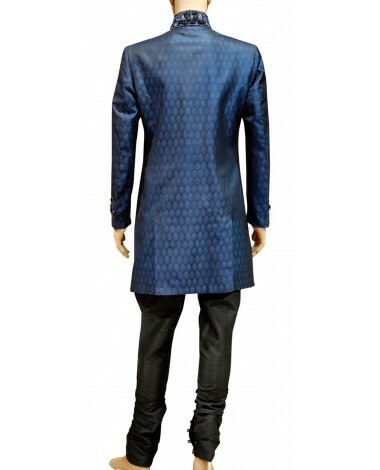 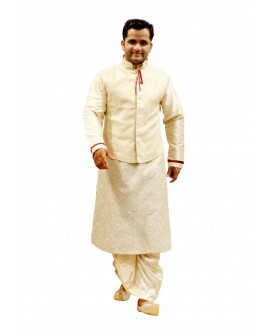 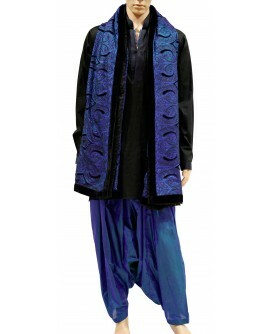 This men's blue brocade smart indo western sherwani enhances the persona of groom. 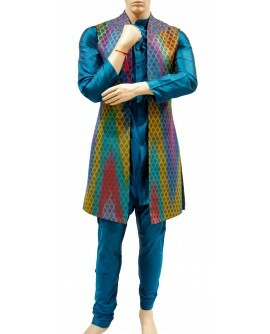 Left front part and both sleeves are designed with finely embroiding thread. 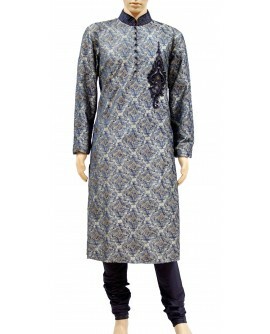 High neck collar is also designed with embroiding work.